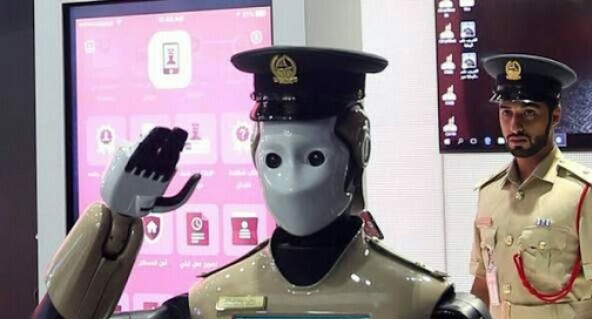 Dubai Police have revealed their first robot officer, giving it the task of patrolling the city’s malls and tourist attractions. Data collected by the robot will also be shared with the transport and traffic authorities. The government said the aim was for 25% of the force to be robotic by 2030 but they would not replace humans. “We are not going to replace our police officers with this tool,” said Brig Khalid Al Razooqi, director general of smart services at Dubai Police. “But with the number of people in Dubai increasing, we want to relocate police officers so they work in the right areas and can concentrate on providing a safe city. “Most people visit police stations or customer service, but with this tool we can reach the public 24/7. 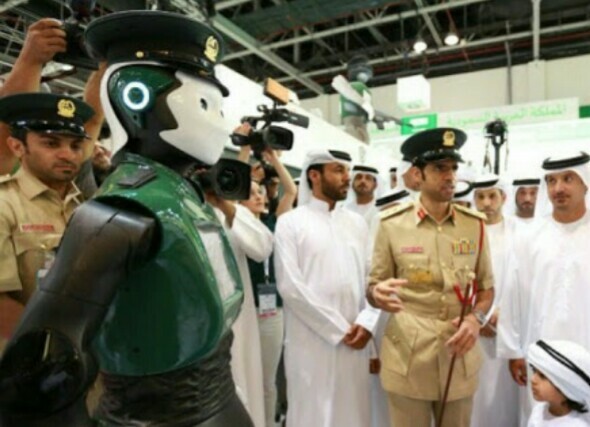 The robot, a customised Reem model from Pal Robotics, was unveiled at the Gulf Information and Security Expo and Conference on Sunday. At present it can communicate only in Arabic and English, but there are plans to add Russian, Chinese, French and Spanish to its repertoire. 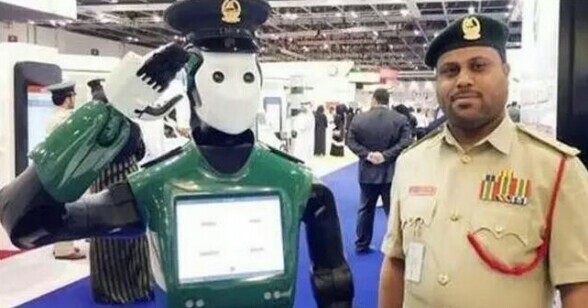 A second Reem robot could join it on patrol next year depending on funding, the government in Dubai said.